If you are looking for a fun, year-round thing to do in Eureka Springs, Turpentine Creek Wildlife Refuge is a must-see! 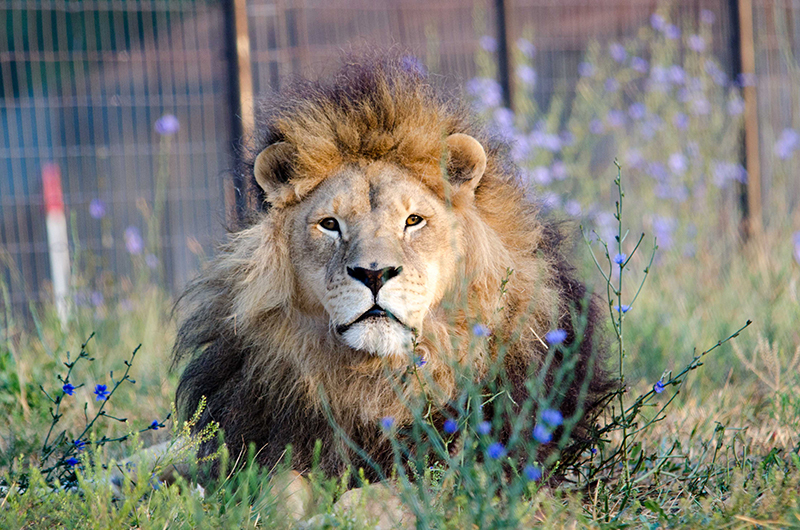 This 459 acre wildlife refuge is home to over 130 animals and is currently the largest big cat sanctuary in North America. 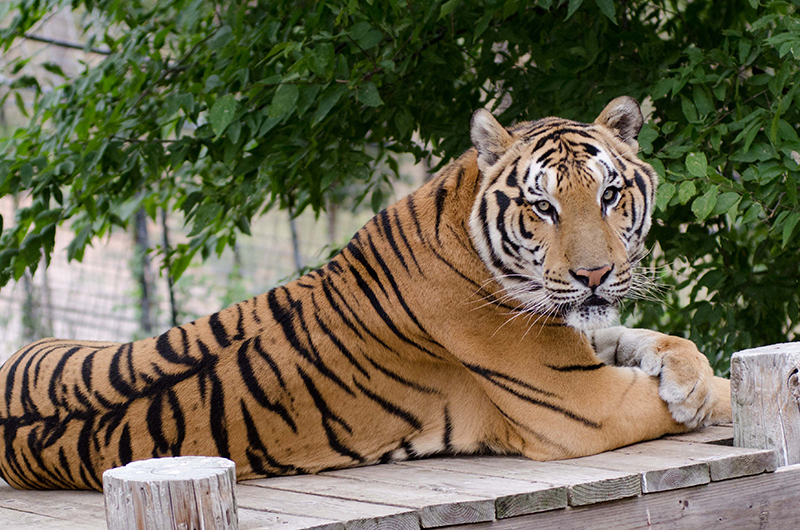 The goal of Turpentine Creek is to provide lifetime refuge for abandoned, abused and neglected “Big Cats” with emphasis on Tigers, Lions, Leopards, and Cougars. They are also home to a few unique animals like monkeys, black bears and even a grizzly bear! Beginning at 10 am daily, Turpentine Creek offers guided tours of their naturals habitats. These spacious enclosures house over half of the animals in the refuge. This 1/2 mile walking tour is guided by zoologist and biologist interns and aims to educate visitors about the refuge, different species of animals and the enclosures themselves. The famous Education Station will leave you with a better understanding of the refuge’s mission. Get hands on with “Touch and Feel” displays that let you get your hands on cat fur, whiskers, toys, and more. A medical display educates you on several common ailments the refuge encounters including ingrown claws to abscessed teeth. Also, on display are an actual tiger claw and cougar canine (removed for medical purposes). This stop is a favorite of children and grown ups alike! What better way to get to know these big cats than to spend the night among them! 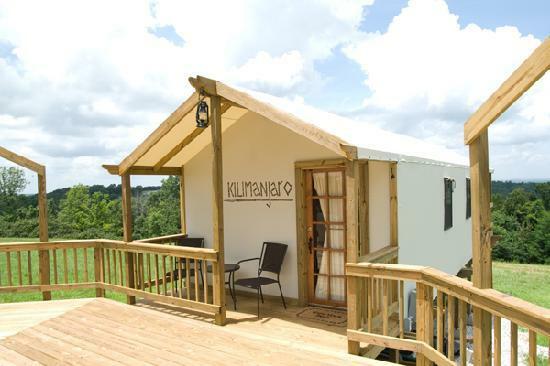 Turpentine Creek offers a variety of lodging choices. Safari lodges make you feel like you are on sleeping on the Serengeti. The Tree House is a family friendly choice that you will be sure to remember! RV, tent camping and suites are also available for more budget friendly options that still keep you close to the cats. An added bonus, revenue from lodging helps to support the animals! Turpentine Creek is open every day of the year except Christmas. The self-guided area is open from 9 AM – 6 PM in the summer months and 9 AM – 5 PM in the winter months. Guided tours run every hour on the hour from 10AM – 3PM. 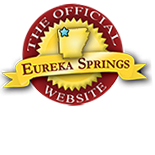 Please check out EurekaSprings.com for more great area attractions. This entry was posted on October 28, 2015 by service424 in Attractions, Eureka Springs Lodging, Family Fun, The Great Outdoors, Things to Do and tagged big cats, lions, Lodging, refuge, tiger, turpentine creek.